Sundial - "Other Way Out/Other Way In"
I am not sure how many re-releases of the classic Sundial record, Other Way Out, there have been, but this must be the definitive one as it includes the extra CD called Other Way In, which is outtakes from the sessions that made the Other Way Out record and has previously only been released on vinyl in limited numbers (500, I think). Anyway, the Other Way Out CD not only includes the brilliant complete LP but also an alternative mix of "Exploding in your Mind" and edit of the opening track, "Plains of Nazca". Other Way In is an assortment of outtake tracks, a couple of which were later released, but most are unique to this release and all the versions are unique to this CD. This CD is very psyched out and more psychedelic than Other Way Out and it does not really hold together as a real LP but then again it is outtakes and some pretty killer psyched out stuff. 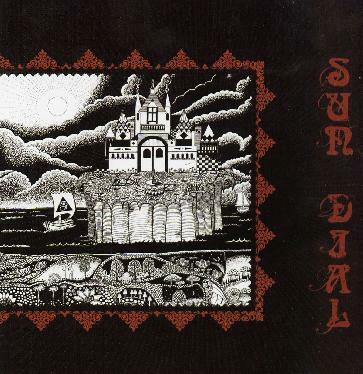 Sundial was the best band of their style back in the early 90's and this further shows the extent of their creative side. Lucky for us Gary is still producing some cool music. For more information you can visit the Relapse Records web site at: http://www.relapse.com.